In mathematics, a divisor of an integer , also called a factor of , is an integer that may be multiplied by some integer to produce . In this case, one also says that is a multiple of An integer is divisible by another integer if is a divisor of ; this implies dividing by leaves no remainder. 2020 (MMXX) will be a leap year starting on Wednesday of the Gregorian calendar, the 2020th year of the Common Era (CE) and Anno Domini (AD) designations, the 20th year of the 3rd millennium, the 20th year of the 21st century, and the 1st year of the 2020s decade. 1700 (MDCC) was an exceptional common year starting on Friday of the Gregorian calendar and a leap year starting on Monday of the Julian calendar, the 1700th year of the Common Era (CE) and Anno Domini (AD) designations, the 700th year of the 2nd millennium, the 100th and last year of the 17th century, and the 1st year of the 1700s decade. As of the start of 1700, the Gregorian calendar was 10 days ahead of the Julian calendar, which remained in localized use until 1923. As of March 1, when the Julian calendar acknowledged a leap day and the Gregorian calendar did not, the Julian calendar fell one day further behind, bringing the difference to 11 days until 1799. A solar year is actually slightly shorter than 365 days and 6 hours (365.25 days), which had been known since the 2nd century BC when Hipparchus stated that it lasted 365 + 1/4 − 1/300 days,  but this was ignored by Julius Caesar and his astronomical adviser Sosigenes. The Gregorian calendar corrected this by adopting the length of the tropical year stated in three medieval sources, the Alfonsine tables, De Revolutionibus, and the Prutenic Tables, truncated to two sexagesimal places, 365 14/6033/3600 days or 365 + 1/4 − 3/400 days or 365.2425 days. The length of the tropical year in 2000 was 365.24217 mean solar days,  Adding a calendar day every four years, therefore, results in an excess of around 44 minutes every four years, or about 3 days every 400 years. To compensate for this, three days are removed every 400 years. The Gregorian calendar reform implements this adjustment by making an exception to the general rule that there is a leap year every four years. Instead, a year divisible by 100 is not a leap year unless that year is also divisible by 400. This means that the years 1600, 2000, and 2400 are leap years, while the years 1700, 1800, 1900, 2100, 2200, 2300, and 2500 are not leap years. Hipparchus of Nicaea was a Greek astronomer, geographer, and mathematician. He is considered the founder of trigonometry but is most famous for his incidental discovery of precession of the equinoxes. Sosigenes of Alexandria was a Greek astronomer from Ptolemaic Egypt who, according to Roman historian Pliny the Elder, was consulted by Julius Caesar for the design of the Julian calendar. A person born on February 29 may be called a "leapling", a "leaper", or a "leap-year baby". In non-leap years, some leaplings celebrate their birthday on either February 28 or March 1, while others only observe birthdays on the authentic intercalary date, February 29. In New Zealand, a person born on February 29 is deemed to have their birthday on February 28 in non-leap years, for the purposes of Driver Licensing under §2(2) of the Land Transport (Driver Licensing) Rule 1999. The net result is that for drivers aged 75, or over 80, their driver licence expires at the end of the last day of February, even though their birthday would otherwise fall on the first day in March in non-leap years. Otherwise, New Zealand legislation is silent on when a person born on 29 February has their birthday, although case law  would suggest that age is computed based on the number of years elapsed, from the day after the date of birth, and that the person's birth day then occurs on the last day of the year period. This differs from English common law where a birthday is considered to be the start of the next year, the preceding year ending at midnight on the day preceding the birthday. While a person attains the same age on the same day, it also means that, in New Zealand, if something must be done by the time a person attains a certain age, that thing can be done on the birthday that they attain that age and still be lawful. Thus, in England and Wales or in Hong Kong, a person born on February 29 will have legally reached 18 years old on March 1. If they were born in Taiwan they legally become 18 on February 28, a day earlier. In the United States, according to John Reitz, a professor of law at the University of Iowa, there is no "... statute or general rule that has anything to do with leap day." Reitz speculates that "March 1 would likely be considered the legal birthday in non-leap years of someone born on leap day,"  using the same reasoning as described for the United Kingdom and Hong Kong. For her performance as "Mammy" in Gone with the Wind , Hattie McDaniel becomes the first African American to win an Academy Award. Misha Defonseca admits to fabricating her memoir, Misha: A Mémoire of the Holocaust Years , in which she claimed to have lived with a pack of wolves in the woods during the Holocaust. 2012 – Tokyo Skytree construction completed. It is, as of 2017 [update] , the tallest tower in the world, 634 meters high, and second tallest artificial structure on Earth, next to Burj Khalifa. The International Fixed Calendar is a solar calendar proposal for calendar reform designed by Moses B. Cotsworth, who presented it in 1902. 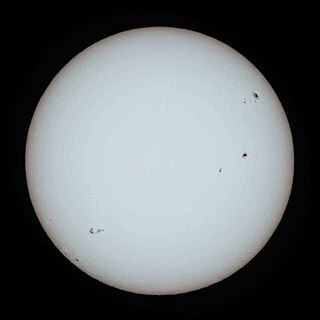 It divides the solar year into 13 months of 28 days each. It is therefore a perennial calendar, with every date fixed to the same weekday every year. Though it was never officially adopted in any country, entrepreneur George Eastman adopted it for use in his Eastman Kodak Company, where it was used from 1928 to 1989. The epact used to be described by medieval computists as the age of the Moon in days on 22 March; in the newer Gregorian calendar, however, the epact is reckoned as the age of the ecclesiastical moon on 1 January. Its principal use is in determining the date of Easter by computistical methods. It varies from year to year, because of the difference between the solar year of 365–366 days and the lunar year of 354–355 days. The intercalary month or epagomenal days of the ancient Egyptian, Coptic, and Ethiopian calendars are a period of five days in common years and six days in leap years in addition to those calendars' 12 standard months, sometimes reckoned as their thirteenth month. They originated as a periodic measure to ensure that the heliacal rising of Sirius would occur in the 12th month of the Egyptian lunar calendar but became a regular feature of the civil calendar and its descendants. Coptic and Ethiopian leap days occur in the year preceding Gregorian leap years. The Solar Hijri calendar, also called the Solar Hejri calendar or Shamsi Hijri calendar, and abbreviated as SH, is the official calendar of Iran and Afghanistan. It begins on the March equinox (Nowruz) as determined by astronomical calculation for the Iran Standard Time meridian and has years of 365 or 366 days. 1 2 Lerner, Ed. K. Lee; Lerner, Brenda W. (2004). "Calendar". The Gale Encyclopedia of Science. Detroit, MI: Gale. pp. 679–82. ↑ "Calendar Reform". The Catholic Encyclopedia. Retrieved 5 May 2016. ↑ Richards, E.G. (2013). "Calendars". In Urban, S.E. ; Seidelmann, P. K. Explanatory Supplement to the Astronomical Almanac (PDF) (3rd ed.). Mill Valley, CA: University Science Books. p. 587. ISBN 978-1-891389-85-6. ↑ "Ante Diem Bis Sextum Kalendras Martii", News, The British Sundial Society, 24 February 2016 . ↑ Leigh, Rob (2012-02-28). "Leap year February 29: 29 things you need to know about leap years and their extra day". Mirror Online. Retrieved 1 March 2016. ↑ "Part B – Entitlement to register" (PDF). The Electoral Commission. February 2008. Retrieved February 6, 2012. ↑ "Cap 410, s.5 Chapter 410: Age of Majority (Related Provisions) Ordinance". Department of Justice. The Government of the Hong Kong Special Administrative Region of the People's Republic of China. June 30, 1997. ↑ "Land Transport (Driver Licensing) Rule 1999 § 2(2)". Parliamentary Counsel Office. December 1, 2014. Retrieved June 11, 2013. ↑ Article 121 of the Civil Code Part I General Principles of the Republic of China in effect in Taiwan. 1 2 "Leap day not a significant concern in field of law, government". University of Iowa News Service. The University of Iowa. February 27, 2012. Retrieved October 7, 2013. ↑ Sullivan, Arthur; Gilbert, W.S. (August 20, 2011). "The Pirates of Penzance". Gilbert and Sullivan Archive. Archived from the original on 15 November 2011. Retrieved February 6, 2012. ↑ "Saul Williams". Academy of American Poets . Retrieved February 27, 2019. ↑ "Taylor Twellman". Major League Soccer. Retrieved February 27, 2019. ↑ "Cullen Jones". Olympic.org. Retrieved February 27, 2019. ↑ "Brent Macaffer". Collingwood Football Club. Retrieved February 27, 2019. ↑ Oblander, Terry. "Leap Year: It Depends on How You Figure It". Akron Beacon Journal. February 29, 1988. ↑ "Leap Day customs & traditions". Time and Date AS. Retrieved October 2, 2014. ↑ Tan, Tiffany. "'Will you marry me?' she says", ChinaDaily.com.cn, February 29, 2012. ↑ "A Convenient Year for a Leap". Wisconsin State Journal (Madison, Wisconsin). February 28, 1992. "Tradition dies hard in Aurora, Ill., where every Feb. 29 single women are deputized and allowed to arrest bachelors and fine them $4." Wikimedia Commons has media related to February 29 .